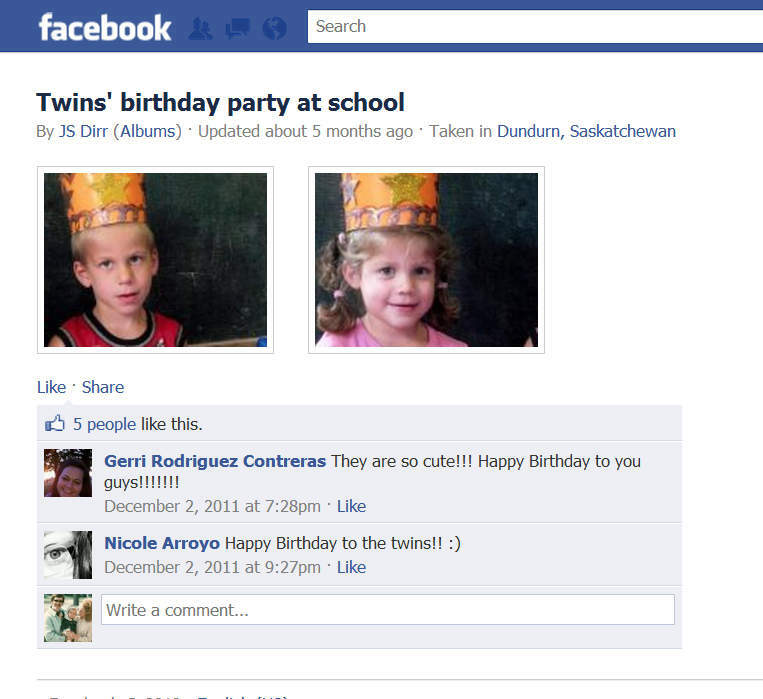 Here’s a screen shot of JS Dirr‘s twins, Lily and Jude, from his Facebook profile. Now please check out blogger Tertia’s twins. Look familiar? How about this picture of Marko on Dana Dirr‘s Facebook. 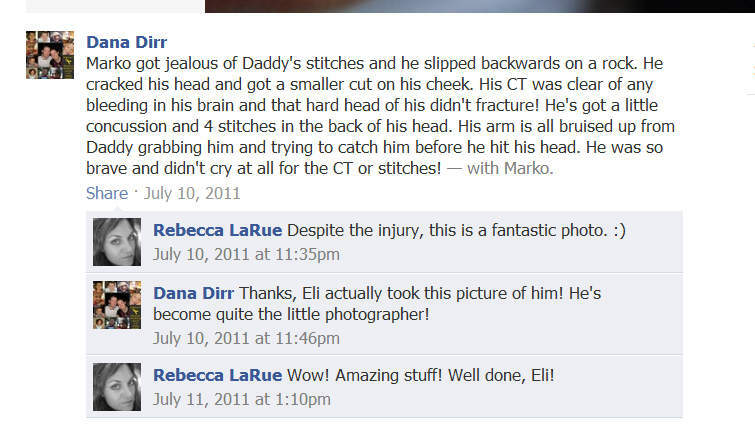 You know, the one that Warrior Eli himself took? That is really a German kid featured on Flickr. If you look through more of the picture albums on that FB profile you will see he has TONS of pictures of Tertia’s children. Ironically, there “was” a death notice for this woman……. Death notice now seems to have been deleted! One of our readers created the Find a Grave link. She has no connection to the family and was just mourning in her own way. She is also the one who removed it. This was brought to my attention by Gen Chamblee of the Sierra Rayn Foundation. I would just like to know if the people other than Tertia have been informed about their pictures being used? 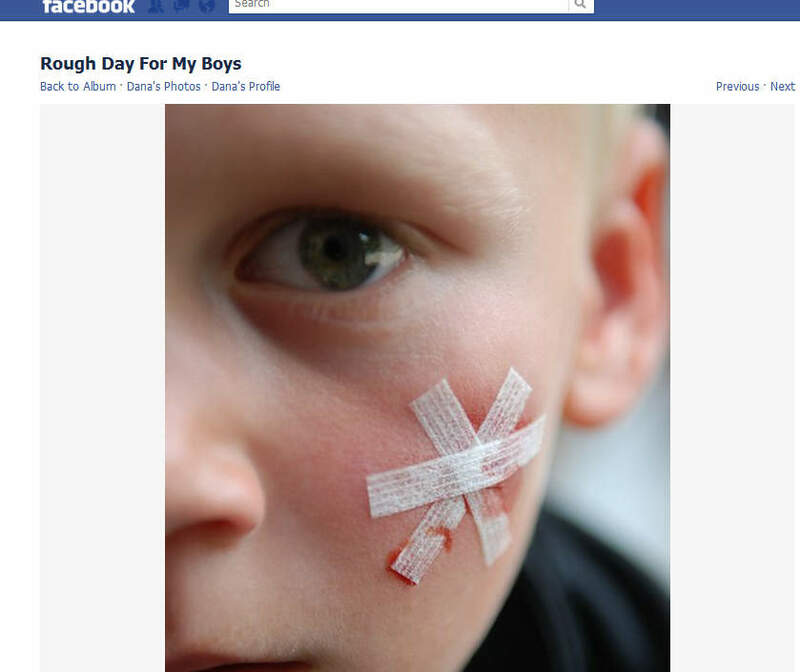 I know I would be PISSED if someone did that with pics of my kids! This is such a sad, heartbreaking story. I know that charities have to have a 501c3 filled out. Does anyone know if there is a website that can be checked for future reference? Something I have been following today. I’m still a little too busy being amazed at all of it to really be disgusted yet. It’s “unofficially” determined at this point to be the work of one woman (You’ll understand why in the later post that’s titled, “Yes, Warrior Eli is a Hoax”), and I’m almost impressed by her. Based on old Xanga sites, old “band” bios, at least 40 facebook profiles, among other things, it looks as though this is something this girl has been working on for close to ten years. I’m going to go on record and state that when I was about 14, I had a “fake” AOL profile, and when I say fake, I mean that my info said I was 19, the picture that I shared and used was of Bianca Lawson (then Save the Last Dance came out and blew that) and claimed to be in college. That was about all I could handle as far as making stuff up. THIS story? Insane. Whoever this woman is, should have used her talents for Hollywood. Belgian kid, not German, jftr. Antwerp is in Belgium.